The million dollar streak hasn’t finished with “Wicked” just yet – though they broke the record just a few weeks ago for garnering the most gross in a week’s time on Broadway, the national tour is doing just as well as it travels through the States this year, as “Wicked” time in Cleveland equally pulled out all the stops. More than 93,000 Ohioans paid nearly $7 million to see the Broadway show during its four week run, reports Cleveland.com, the third time this magical show had visited this northern Ohio city. In total, Cleveland has earned the musical that is adapted from Gregory Maguire’s best selling novel $19.3 million in ticket sales for New York producers, a feat of sorts in this economic state. 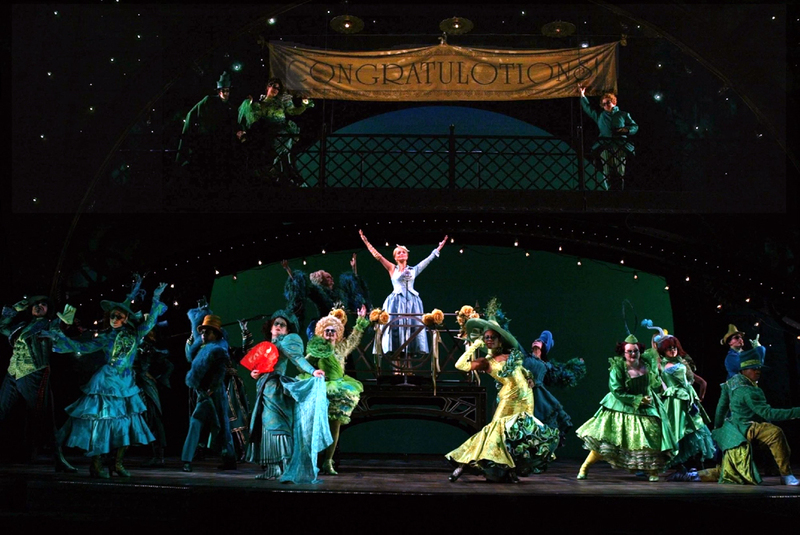 The first time the Wicked Witches of Oz flew through the stages in Cleveland was in 2006, followed by another appearance in 2008 and again during the past four weeks in 2009, having left on Sunday. The Playhouse Square earned just as much business, as did the surrounding neighborhoods, according to a Clevevland State University study, which additionally stated that local works and businessess ancillary to the theater were earning just as much as “Wicked” producers. As for the woman who was thrown out last week? Kathleen Holmes, 50, was released from jail on a $2,500 bond on charge of felony assault after having a fit during the performance. Get Wicked tickets online. Great Seats for Less. Save $20! First-Ever Coupon Codes! Katie Rose Clarke is a veteran of the “Wicked” stage, not only does the actress know the role like the back of her hand – as she spent two years performing the role of Glinda in the first national tour of the production – but now she’s back, re-rehearsing the lines, stage position and wardrobe changes as she returned January 14, 2010 for the production in Gershwin Theater. Clarke will join new actress Jenny Fellner as she takes over for the role of Nessarose, as well as Gershwin stage veterans Dee Roscioli as Elphaba, Tony Award winner Rondi Reed as Madame Morrible, P.J. Benjamin as The Wizard, Kevin Kern as Fiyero, Alex Brightman as Boq and Timothy Britten Parker as Dr. Dillamond. The previous castmates Eric Mackey (Glinda) and Michelle Federer (Nessarose) will take their roles through January 10th. Clarke made her Broadway debut with the show “The Light in the Piazza,” while Fellner premiered in Broadway’s “Mama Mia!” and “Pal Joey” revival. The story features a score by Stephen Swartz, a book by Holzman, direction by Joe Mantello and musical staging by Wayne Cilento. The creative team includes scenic design by Eugene Lee, costume design by Susan Hilferty, lighting design by Kenneth Posner, sound design by Tony Meola, projections by Elaine J. McCarthy, wig and hair design by Tom Watson, music supervision and arrangements by Stephen Oremus, orchestrations by William David Brohn and dance arrangements by James Lynn Abbott. Get Wicked tickets online. Great Seats for Less. Save $20! First-Ever Coupon Codes! Buy now and save $20 on your next order over $250. “Wicked” opens Wednesday and runs through Jan. 10 at the Providence Performing Arts Center, 220 Weybosset St., Providence. Tickets start at $53. Who would have thought that in its sixth season on Broadway, “Wicked” would enjoy the biggest weekly box office gross in Broadway history? But that happened a couple of weeks ago — just over $2 million for eight performances. No one had ever broken the $2 million mark for a week before. 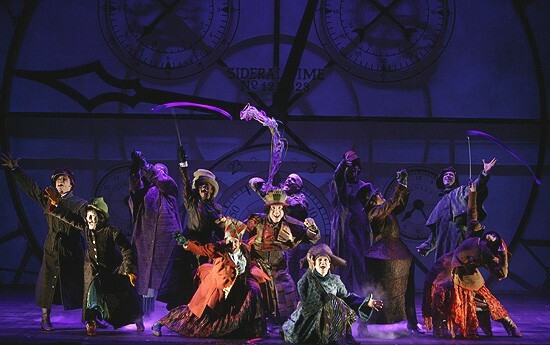 Buy Wicked Providence Performing Arts Center Tickets. Great Seats for Less. Save $20! First-Ever Coupon Codes! Wicked” might not be a great musical, but it is a great night of theater. 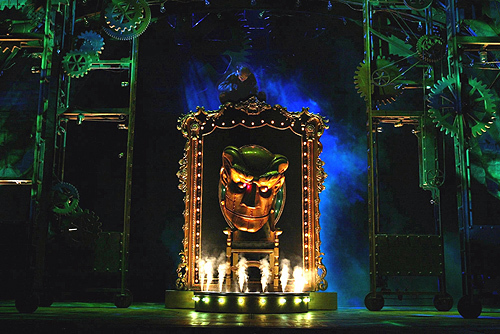 The national touring company of “Wicked” is at Proctors Theatre in Schenectady for a month-long run and the extravagant production shows why the musical that opened on Broadway in 2003 to less-than-enthusiastic critical views has turned into one of the most popular shows in Broadway history. 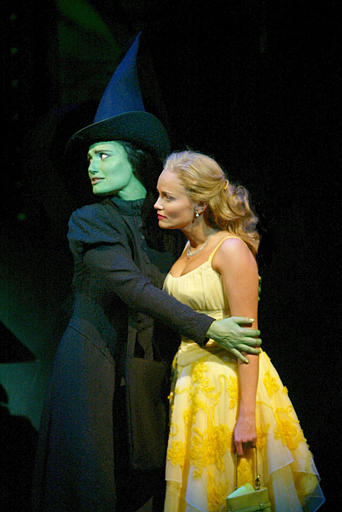 “Wicked” is entertaining, provocative and romantic. And, as if it needs more, it has an intriguing premise that forces you think differently about a cultural icon. It uses a beloved story — “The Wizard of Oz” — and turns it on its ear without being offensive to even the staunchest supporters of the original film. At the same time it mutes the darkness of Gregory McGuire’s novel, upon which this show is based, without causing its fans to rebel. The genius of the show is that all this political intrigue and rebellion is counterbalanced by a couple of love stories. One causes conflict between Glinda, Elphaba and the handsome Fiyero. A case of unrequited love between the crippled Nessarose and the Munchkin Boq causes pain for both. Hard choices must be made and no one seems destined for happy-ever-after. A lot of fun in the second act comes from seeing how beloved characters, like the Tin Man, the Scarecrow, the Cowardly Lion, and the flying monkeys, evolve through Elphaba’s magical powers. Also clever is discovering the reason for the Kansas tornado that brings Dorothy to Oz and why the magical shoes get their power. The performances at the Thursday night press opening were impressive. 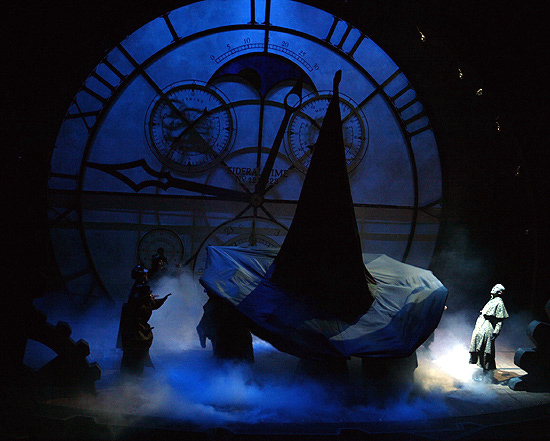 Indeed, Elphaba was performed by Carrie Manolakos, the lead’s standby. If she’s an understudy, I can only imagine the skills of the normal lead, Marcie Dodd. Making the role her own, Manolakos plays Elphaba more vulnerable than dynamic. The approach costs some of her numbers their angry power, but it does make the character more sensitive and brings a tenderness to the romantic songs. Helene Yorke is a delight as Glinda. 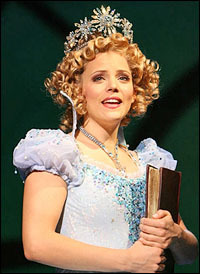 It’s actually a more complex role than Elphaba as Glinda is both vain and vindictive as well as caring and brave. Yorke exploits the comical shallowness of the woman without negating her more valuable assets. And she sings enchantingly. The tech is impressive, with most of the mood set by intense dramatic lighting. There are times where the lyrics of some songs are difficult to understand, but with some of the throwaway songs that’s no loss. Maybe “Wicked” is a great show as well as great theater. “Wicked” at Proctors Theatre, Schenectady. Through Jan. 3. Great Seats for Less. Save $20! First-Ever Coupon Codes! There are a number of reasons why Broadway tickets are so high priced. One of them is that a large number of ticket brokers buy show tickets well in advance and create scarcity. Then they go ahead and sell these tickets at 20% to 30% profit. Another reason for this is that a number of websites too do the same thing. They even mention that they are offering it at a discount. But these discounted prices are still a lot higher than the original price. If you are wondering how you will manage to get your Wicked tickets for its actual price, then there are a couple of ways. These two methods do work for a lot of people, but it involves spending some time researching. The first method is to use the internet to your advantage. 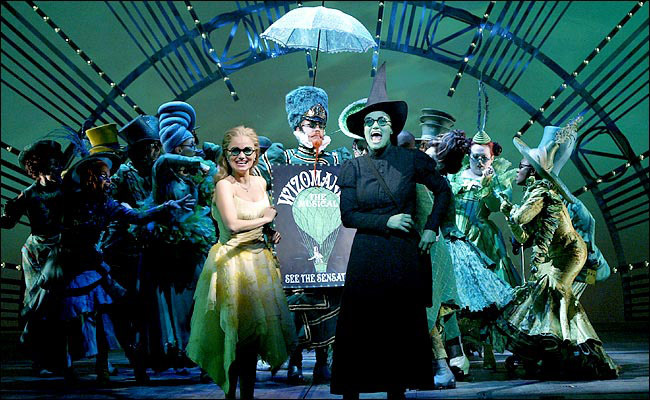 There are numerous ways by which you can avail your Wicked Musical tickets for their original price on the internet. Some of the places that you should look for are chat rooms and websites that auction stuff. A lot of websites are dedicated to only selling Wicked tickets and here you are most likely to find your tickets for either the original price or at discounted prices. The other way to buy Wicked tix for their original or discounted price is to visit sites that are dedicated to selling Broadway or Wicked tickets. You can log on to these sites and get onto their forums and chat rooms where a lot of people are looking for or offering just what you need. The second way is to visit websites that offer discounted tickets. These are the toughest deals to find. But if you look long enough then you might surely stumble upon something that looks like a lucrative offer. You might find tickets at discounted prices for a lot of Broadway shows but with Wicked it gets a little difficult. That is because its popularity grows everyday and demand for their show tickets is immense. This brings in the brokers and middlemen who want to make the most of this lucrative opportunity. However, if you look hard you might find a ticket for the Wicked musical at an ideal price. WickedTheMusicalTicketsOnline.com is your one stop shop for Wicked Cast information, Tour dates and Latest Buzz. You can find all the wicked Played Cities info with the venue address, seating chart and capacity. Check them out online Cheapest Wicked Tickets. 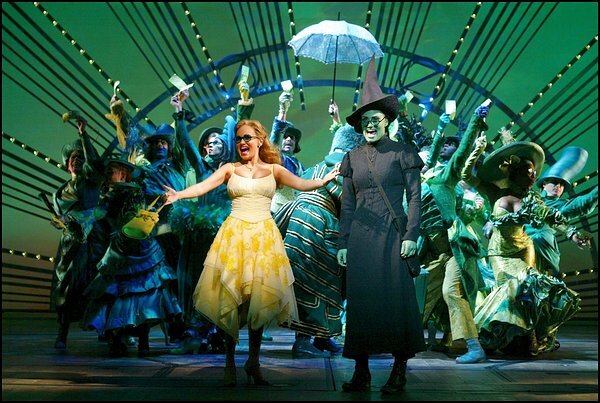 Broadway megahit Wicked joined the top 20 longest running shows in Broadway history on December 15, playing its 2,535th performance at the Gershwin Theatre. The popular Stephen Schwartz and Winnie Holzman collaboration, based on the book by Gergory Maguire and directed by Joe Mantello, replaces Avenue Q as the 20th longest-running show on Broadway. Wicked currently stars Dee Roscioli as Elphaba, Erin Mackey as Glinda, Rondi Reed as Madame Morrible, P.J. Benjamin as The Wizard, Kevin Kern as Fiyero, Alex Brightman as Boq, original cast member Michelle Federer as Nessarose and Timothy Britten Parker as Dr. Dillamond. 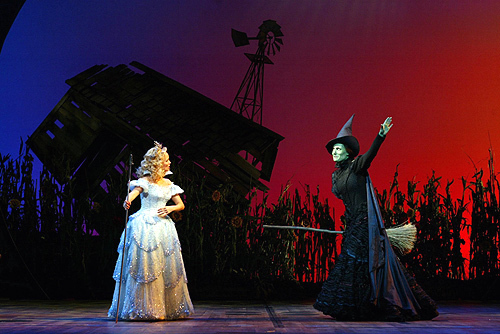 Winner of 26 major awards including the Grammy Award and three Tony Awards, Wicked is the untold story of the witches of Oz. Long before Dorothy drops in, two other girls meet in the land of Oz. One, born with emerald-green skin, is smart, fiery and misunderstood. The other is beautiful, ambitious and very popular. 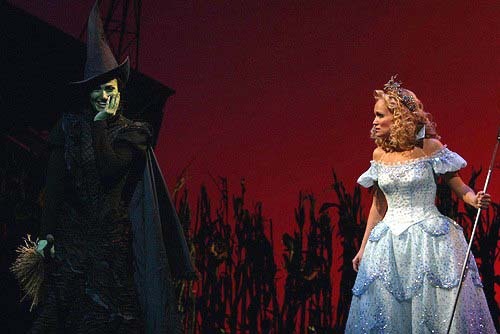 The show tells the story of their remarkable odyssey, and how these two unlikely friends grow to become the Wicked Witch of the West and Glinda the Good Witch. 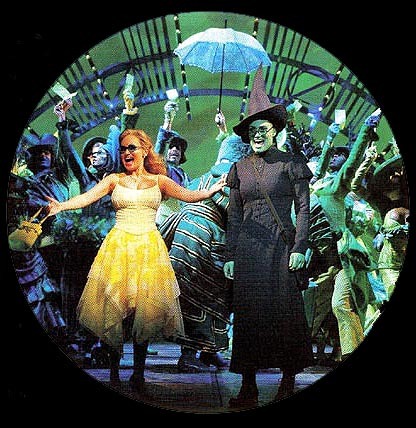 Wicked opened on Broadway on October 30, 2003, starring Idina Menzel as Elphaba, Kristin Chenoweth as Glinda, Carole Shelley as Madame Morrible, Joel Grey as The Wizard, Norbert Leo Butz as Fiyero, Christopher Fitzgerald as Boq, Federer as Nessarose and William Youmans as Doctor Dillamond. The show picked up Tony wins for Menzel, scenic designer Eugene Lee and costume designer Susan Hilferty. Buy Wicked Tickets. Great Seats for Less. Save $20! First-Ever Coupon Codes! Buy now and save $20 on your next order over $250. Stephanie J. Block, star of Broadway’s “Wicked” and “9 to 5″ helped to ring in the holiday season with the Youngstown Symphony Orchestra and conductor Randall Craig Fleischer on Saturday. Block won the 2006 Helen Hayes award for Outstanding Actress. Block started out on Broadway as Elphaba before moving to the role of Judy Bernly in “9 to 5.” She might remain a familiar face to fans of “The Pirate Queen,” where she played Grace O’Malley, or Hugh Jackman’s flick “The Boy from Oz.” Block was also a member of the first national tour of “Wicked” when she played Elphaba, and has also starred in such regional acts like “Funny Girl,” “Crazy for You,” “Oliver,” “South Pacific,” and “Will Rogers Follies.” Her voice is also heard on commercials for singing Barbie. The Holiday Spectacular concerts will also welcomed Youngstown Connection, Kenny Eldridge and the Jesus Celebration Singers, reports www.vindy.com, along with dancers from the Ballet Western Reserve, First Covenant Church Hand Bell Choir and Susan McConnell’s Team Two students from Robinwood Elementary School. Television personalities from the area are also joining in on the fun, like Robert Mangino of WKBN-570 AM; Rich Morgan, WKBN-TV 27; Dana Balash, WFMJ-Channel 21; Rep. Robert A. Hagan; and John McNally, Mahoning County commissioner. 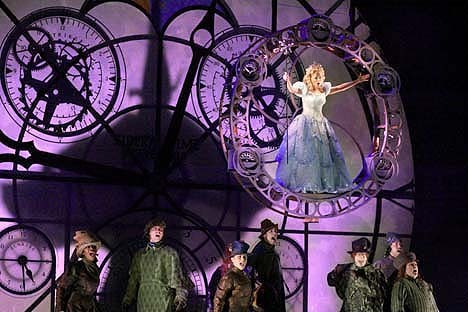 Get discounted Wicked tickets online. Designed in Spanish Baroque style with Moorish architectural influences, the Music Hall’s design reaches its pinnacle in its six soaring stair towers capped with cast drum and dome. Also awe-inspiring are the five great arcade porches that afford sweeping views of Fair Park. 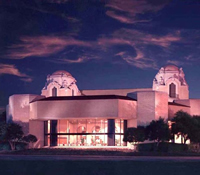 Three major renovations since its debut have transformed the Music Hall at Fair Park into a glittering gem with air conditioning, a grand foyer, the Crystal Terrace Restaurant, ample dressing rooms, an infrared headset station and 3,420 seats. Today, the stunning structure is the home for Broadway musical touring companies, grand opera, ballet and other dance productions, concerts (including live global television broadcasts), national pageants and myriad other large and small public and private functions. Wicked is coming to Dallas,TX to perform in The Music Hall at Fair Park – May 26 to June 27, 2010. You’ll find The Music Hall at Fair Park near the Main Gate and Gate 4, in the western end of the park’s grounds. 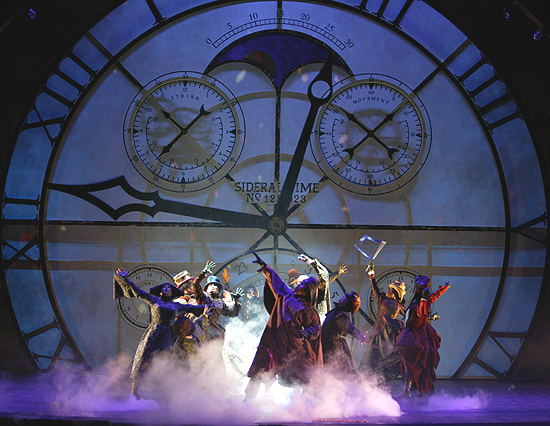 Hurry up for Wicked Music Hall At Fair Park Tickets.